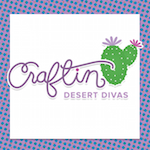 Today is Day 3 of the sneak peeks for the November product release at Craftin Desert Divas. Can you believe we still have more cuteness to share with you? We have (3) 5x7 new stamp sets and (4) 2x3 mini stamps for this release and 2 new die sets designed by our own design team member Leah! My sneak peek today is showcasing the new Across The Borders stamp. 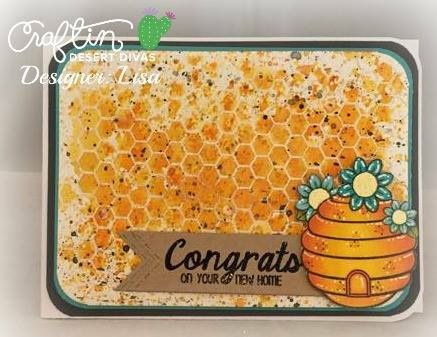 I've used the circle border stamp with my card. 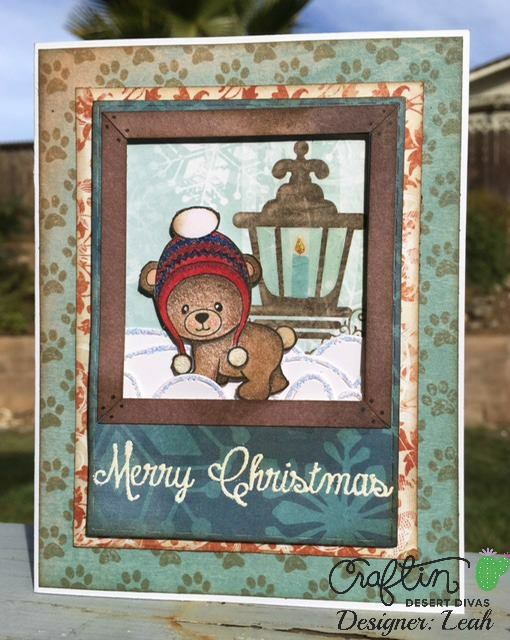 I'm in love with this stamp set as it makes it SO easy to create your own background paper. I use to spend so much time looking for the right paper to use on my project, so I find creating my own saves me so much time. 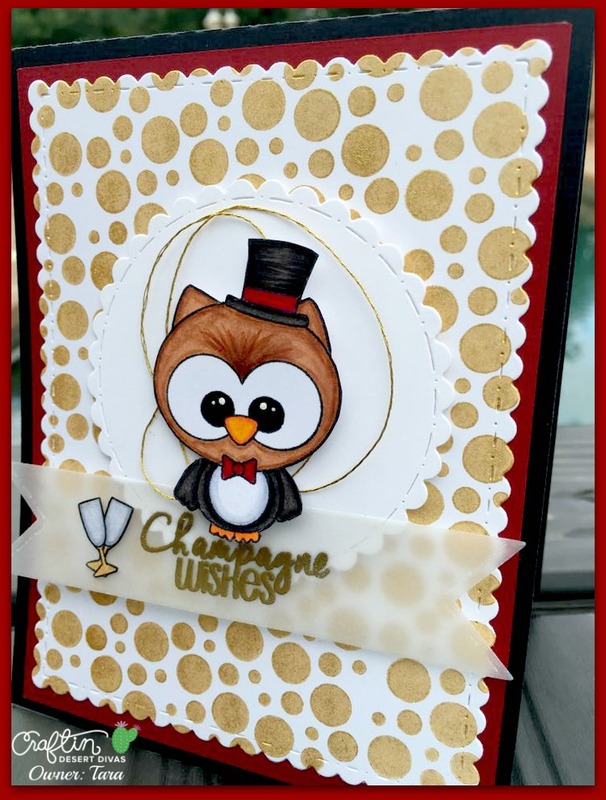 To create the circle background paper I first stamped the circles in Delicata Golden Glitz ink. 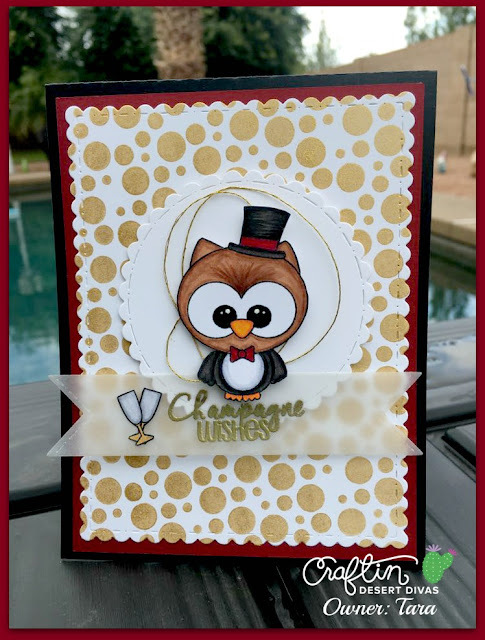 I then took my Fancy Frame Dies to cut it out for that top layer on my card. As you can see I've also used the new Cheers stamp on my card. How adorable is that owl? He's all dressed up in his tux and ready to party!! LOL I colored him up with my Copic markers and placed him on a scalloped circle from my Stitched In Circle Dies. I then added a piece of gold DMC Metallic thread behind him. To finish up my card I heat embossed the sentiment from the Cheers stamp in gold on a vellum banner that I cut from my Mix It Up Dies and placed the champagne glasses next to it and it was complete. 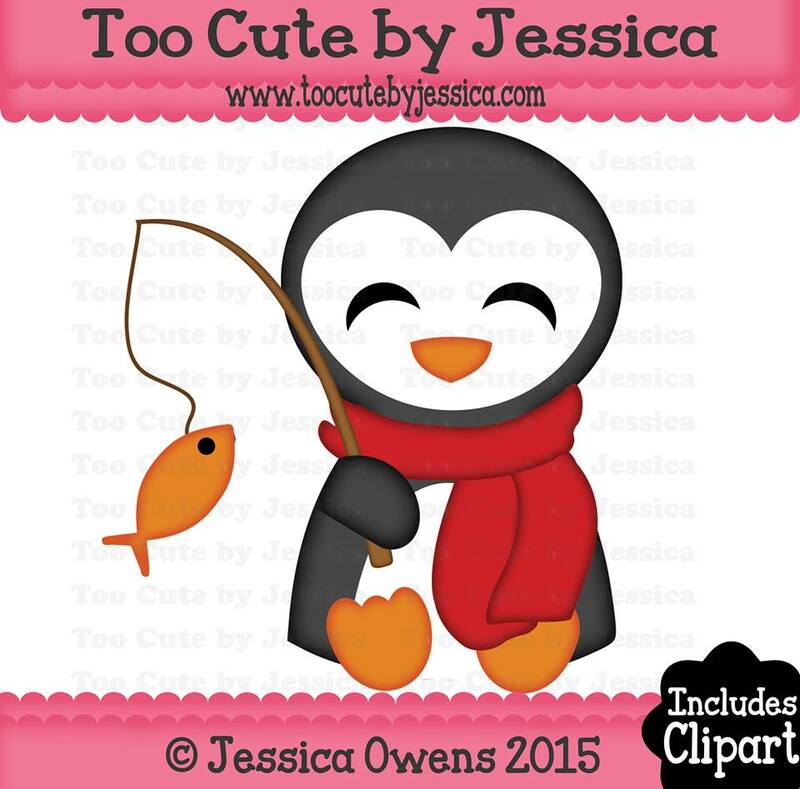 **FREE shipping everywhere, no code necessary!! We are also going to have a Pre Black Friday Sale, the biggest sale of the year. 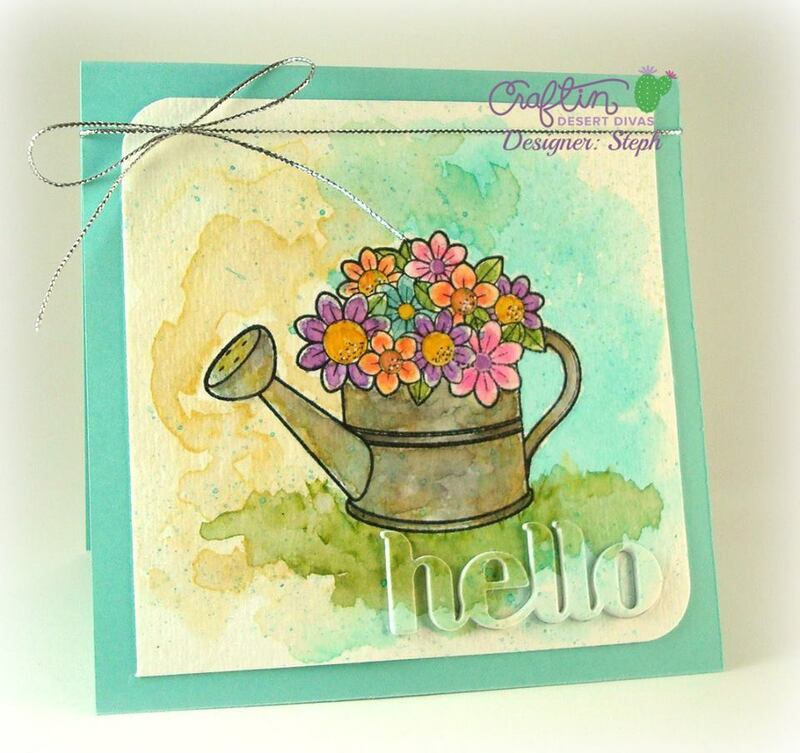 The entire CDD shop will be 20% off starting the day of the blog hop. Free Shipping and Sale Ends 11/29 at 10pm MST. 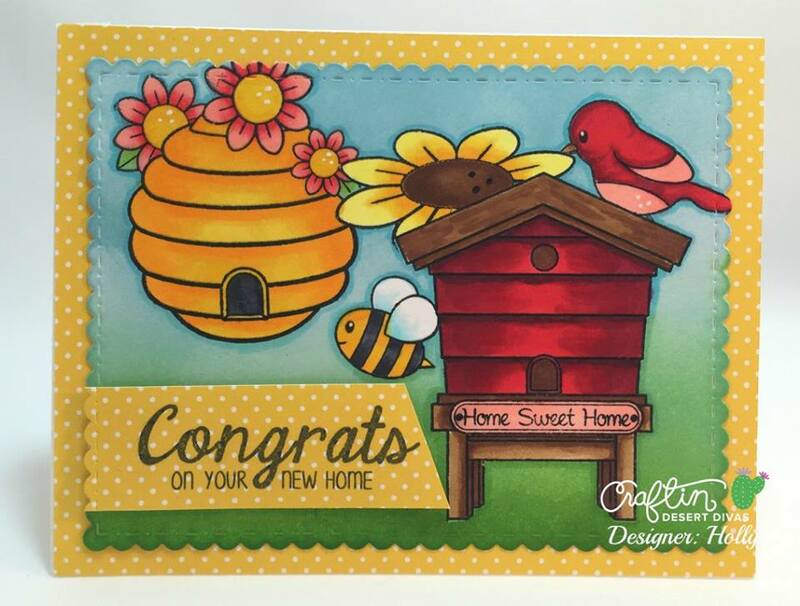 Stamps & Dies are made in the USA. **Each sneak peek day, there will be a new FREE SVG pattern available. Each stop along the way there will be a code letter that spells a word for the freebie code. We ask that you please comment and "like" each Facebook fan page in order to get the free file. The file will be available in the shop at craftindesertdivas.com just for that day. Just enter the letters you collected at each post for the special code word to receive your free file download. **The code word and free file will be available that day ONLY so please be sure to visit the link. 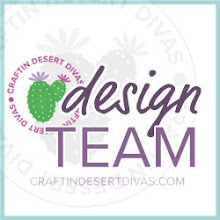 Join us this Tuesday & Wednesday for our blog hop that will begin at the Craftin Desert Divas blog: craftindesertdivasblog.com and we will have more freebies. Each of these projects are beautiful!!! 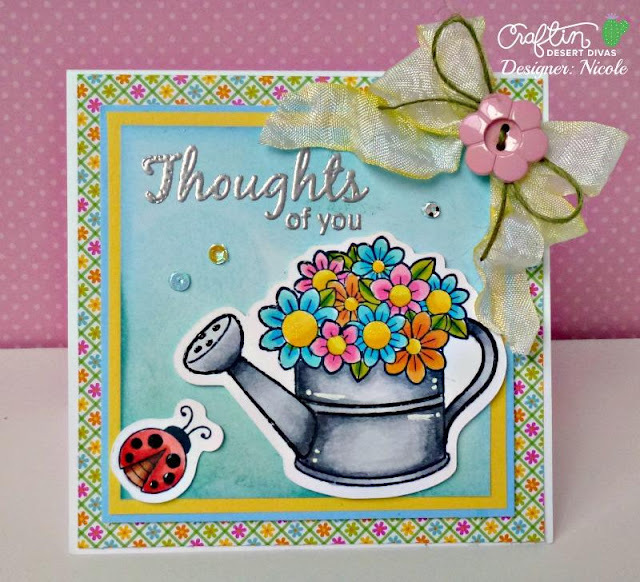 SUPER CUTE and DELIGHTFUL cards today!!! This BEE likes the bee creations as well as the others.